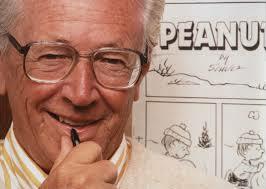 Charles Schulz, creator of the fabulous "Peanuts" comic strip, is pictured above. Schulz slipped Biblical references into his cartoons, from time to time, and several books have explored this dimension of his work. Two of the best known are: The Gospel According to Peanuts, and The Bible According to Peanuts. 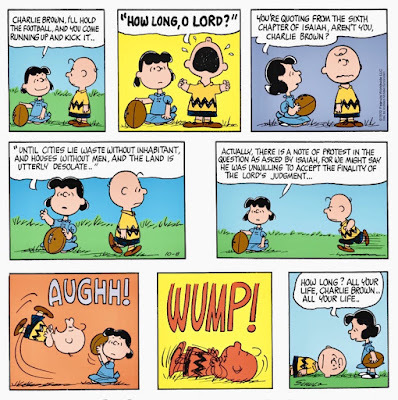 The following cartoon, which appeared in my Sunday newspaper on October 8, 2017, has Lucy citing to Isaiah 6, as she (once again) pulls away that football that Charlie Brown is (once again) trying to kick. 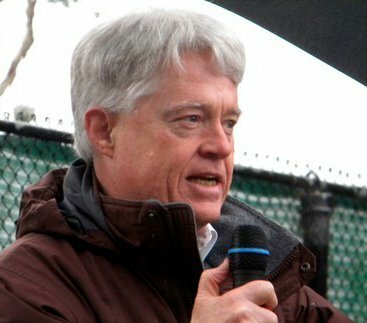 My own reading of Isaiah 6 has always focused more on the penalties to be imposed on a recalcitrant humanity than on any protest of those penalties by the prophet, if such a protest is, in fact, actually being made. Schulz' cartoon has the person afflicted by the prophesied penalties (Charlie Brown) raise the protest cry, "How Long?" In the Bible, though, it is the prophet who asks the question. 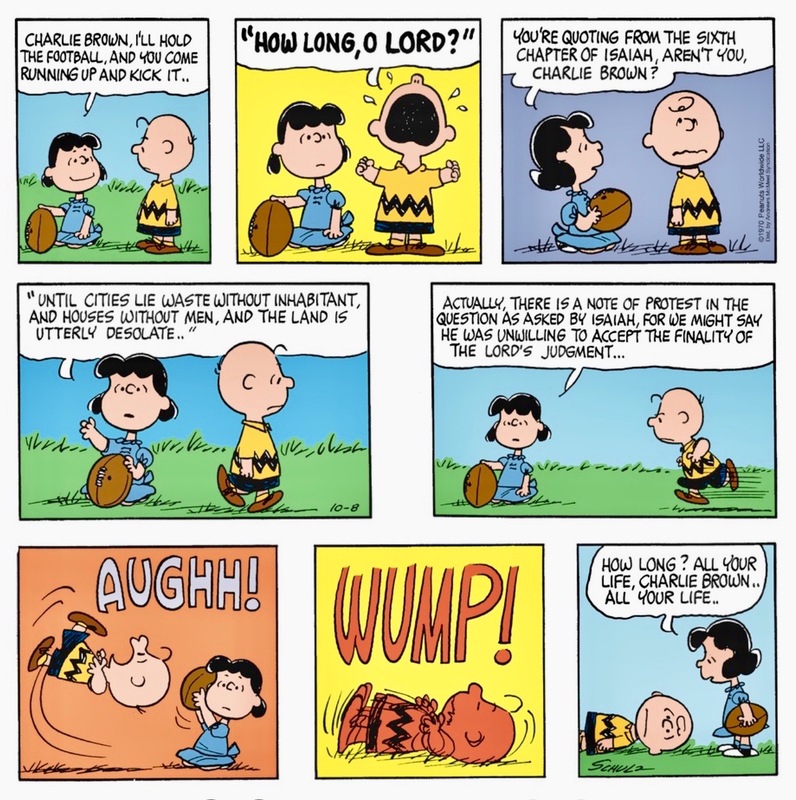 That would be Lucy in the cartoon rendering, and she gives the same answer to Charlie Brown's question that God gives to Isaiah: We will suffer these penalties and scourges our entire lives, until we repent and change our behavior. (Charlie Brown has to give up his idea of human triumph and dominance, and he just has to stop trying to kick that ball). 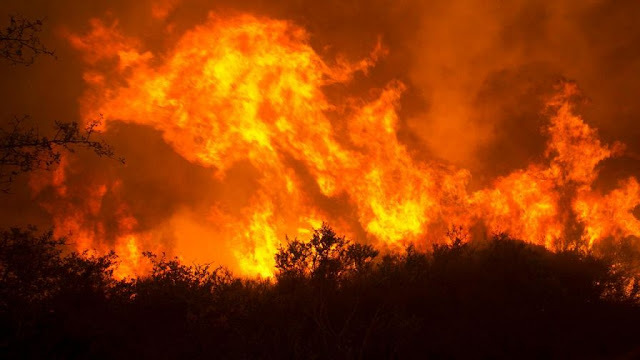 Assuming that the World of Nature is sacred, a world that we did not create ourselves, and that demands our allegiance and our worship, then Isaiah 6 suggests that God is trying to tell us that all our human works within that world will be laid to waste, until we change our ways. To me, Isaiah 6 looks a lot like a weather report, in our era of global warming. There will be more on the way. Nate, in fact, is already here.